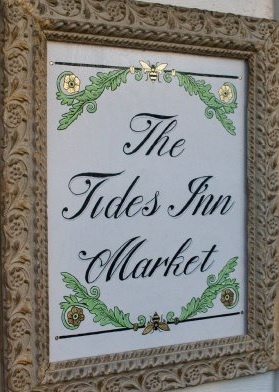 The Tides Inn Market held their Grand Opening in September of 2010. Since then, they've been serving up freshly baked sweet and savory items, breads, soups, salads and sandwiches. More recently, they have added such features as cooking classes, specialty beers, wines, and catering. They also do private dinners which can be three, four or five course dinners of your choosing. The folks at the Tides Inn Market work hard to provide the best quality, best tasting food while supporting local producers and their products whenever possible. 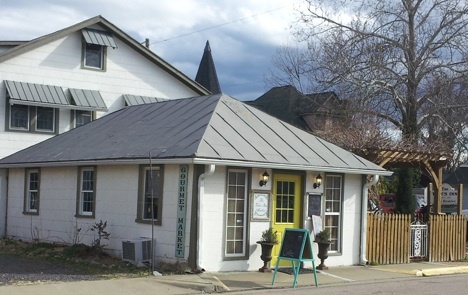 Located adjacent to a Bed and Breakfast this cool little gourmet market expanded their indoor seating area by using the Kickstarter program online. Before, there was hardly any room to sit and partake of all the yummy offerings available here. I went in shortly after construction had finished to check out the renovation, and wow! The place has really opened up and offers a lot more seating. It turned out great. There's a lot more natural light as well. Caitlin Davis (2011 Colonial Beach Businessperson of the Year!) runs the show here, and she's a graduate of the prestigious Culinary Institute of America in Hyde Park, New York. Join the fun at one of their Pint and a Pie/Vino and Vittles events where you can get either a pint of ale and a meat pie, or a glass of wine and an individual pizza. Along with these "Wine and Tapas" on Fridays and Saturdays, they also have live music as well as perhaps a Dinner and a Movie on Sunday evenings. It's the perfect way to wind down the weekend. Keep an eye on our events calendar for dates and times. 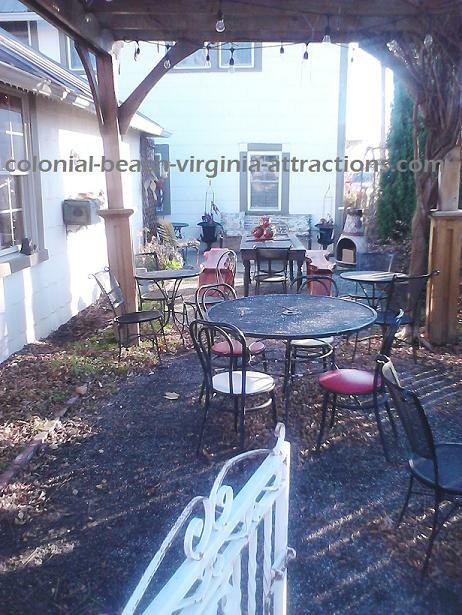 During times of nicer weather, events are often held on their Wisteria garden patio, a great shaded outdoor spot.